The project would lease school trust lands for tar sands extraction in the Book Cliffs area, directly impacting PR Springs, a site which is also utilized for camping and recreation. 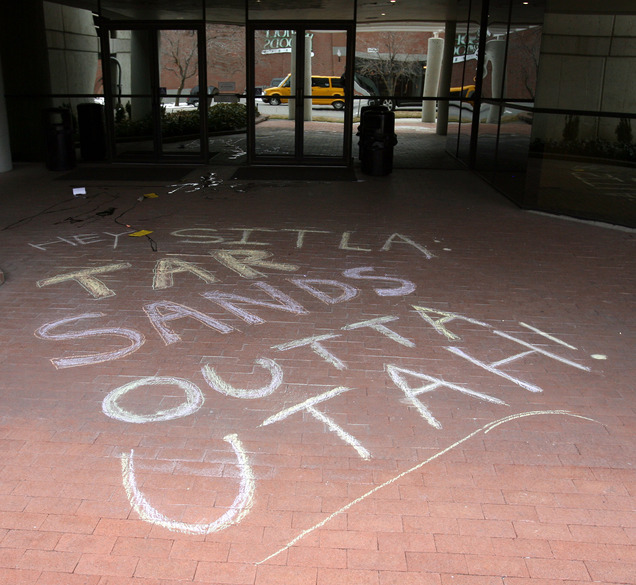 “Destruction of education trust lands through tar sands mining is contrary to the mandate of this agency, which requires them to maintain the land for the long term,” said Mark Purdy of Utah Tar Sands Resistance. An article in the Desert News stated: “The proposed mining operation would occupy a 213-acre site in the East Tavaputts Plateau straddling the borders of Uintah and Grand counties. An ore processing facility would accommodate up to 3,500 tons of ore per day in the production of bitumen. The extraction process would require 1.5 barrels to 2 barrels of water per barrel of bitumen produced… The company will have to post a reclamation bond of nearly $1.7 million before any work is allowed to begin at the site. Another company, MCW Energy, is proposing a pilot project to test its proprietary solvent in the extraction of bitumen on 1,000 stockpiled tons of tar sands 3 miles west of Vernal in Uintah County. 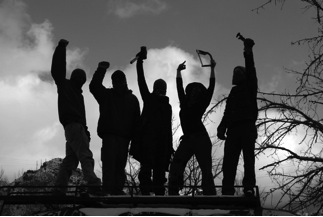 Utah was chosen specifically as the site of the annual Earth First! 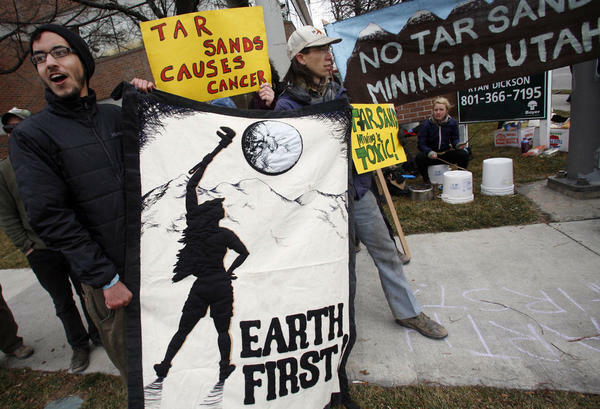 winter gathering to highlight resistance to these tar sands proposal, as well as lend support to the courageous actions of people like Tim DeChristopher who was sentenced to a two-years in prison for his effective sabotage of an oil and gas auction on Utah’s public lands. Along with DeChristopher, two other ecological and animal liberation activists from Utah, Jordan Halliday and Walter Bond, are also currently facing time behind bars for their involvement with direct action efforts in the state. Contacts for these and other eco-prisoners can be found at the Earth First! Journal’s prisoner support page. 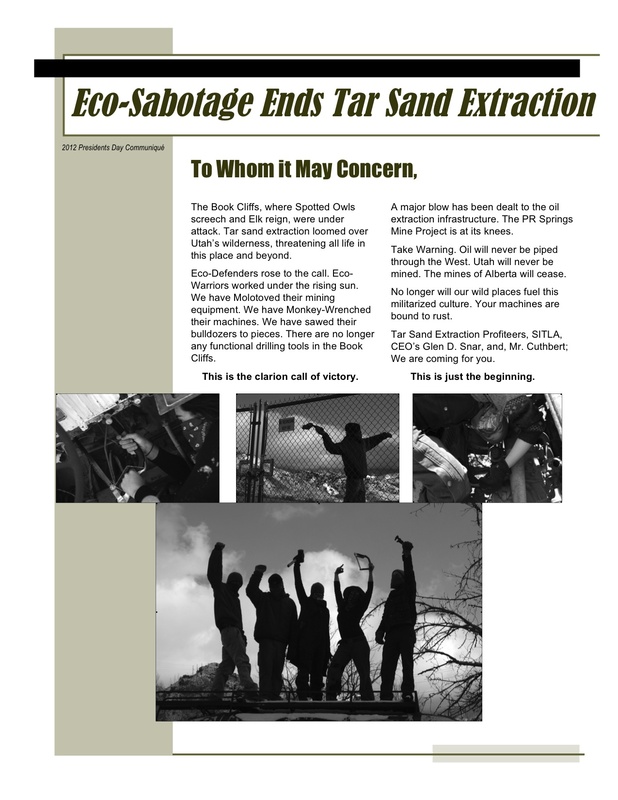 In related news, an anonymous communique entitled Eco-Sabotage Ends Tar Sand Extraction was also received the previous night, apparently sent back from the future, stating: “…The Book Cliffs, where Spotted Owls screech and Elk reign, were under attack… Eco-Warriors worked under the rising sun. We have Molotoved their mining equipment. We have Monkey-Wrenched their machines. We have sawed their bulldozers to pieces. There are no longer any functional drilling tools in the Book Cliffs. 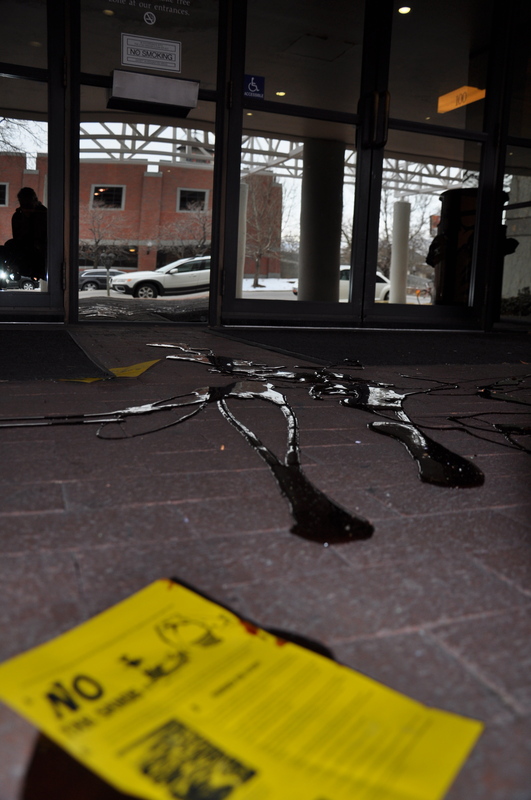 A major blow has been dealt to the oil extraction infrastructure. The PR Springs Mine Project is at its knees. Take Warning. Oil will never be piped through the West. Utah will never be mined. The mines of Alberta will cease. The mining equipment is not actually present on-site yet, just in case that was unclear.